This is a great project to teach children about magnetism, directions, self sufficiency and using household items in a recycling, repurposing manner to create a useful product. This knowledge could even save their life someday. And the cost is free or very inexpensive! I must have done this for the first time in public school or the cub scouts. I had no trouble doing it again after all of those years. It is so simple in concept. 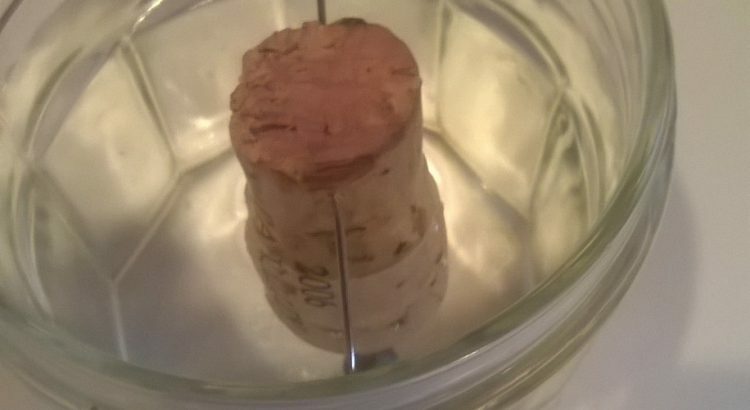 A used wine bottle cork. I first gave them each a magnet ( 3/1/2 & almost 5 year olds) and showed them the basics of how they work. That was fun and perhaps planted the seeds of knowledge. I next magnetized the needle. The proper sized screw was inserted in one end of the cork, so as to keep it upright and then the needle was inserted through the other end. It was placed in the water and voila, it worked. I then explained about directions. Not sure this sank in. This will be repeated when they are older. Kobalt km201 electric mower rescued from curb, Like new looking, Won’t start. Should it go to landfill or be repaired recycled repurposed?